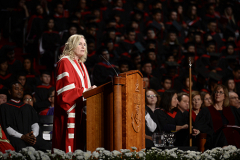 The installation of Rhonda L. Lenton as York University’s eighth President & Vice-Chancellor marks a pivotal moment in the University’s history. 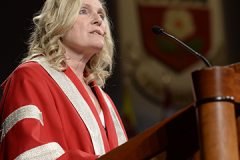 Under her leadership, York’s vision is to be a leader of social change through the graduates we produce and the research and creative activities we undertake, bringing significant benefit to the social, economic, cultural and other well-being of society. "I believe that our future rests on four pillars that underpin our vision: access, connectedness, excellence and impact." Alumni, student organizations, and friends of the university are encouraged to send Rhonda L. Lenton greetings, wishing her well: tweet/post using #congratsYorkUpres. 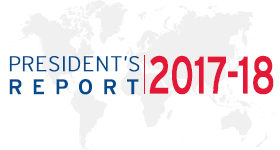 Congratulations on this wonderful achievement, President Lenton! It is so affirming to see that you are at the helm and I wish you all the best as you move York forward over the next few years. We had a retirement celebration today for the School of Nursing from 12-2 pm so I (and other colleagues in the School) were unable to attend the community reception that was held at the same time. I had the great pleasure and privilege to work with you when I was an executive at the Ontario Ministry of Training, Colleges and Universities and when I joined the Office of the Principal of Glendon College. It has been a privilege to have you as a leader. You are truly an inspiration and a great example for many! Congratulations and all the best in this leg of your professional journey in the world of postsecondary education! Je te souhaite bon courage and bien du succès dans toutes tes entreprises. Je suis persuadée que tu pouvoir conduire l'université York à un niveau supérieur! Bravo! 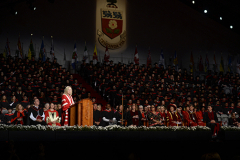 I am sure York University will be different, in the positive way, under your leading years. Many thanks for the Alumni Breakfast this morning and for your fine speech. Congratulations and the very best luck on your installation as President of York University. 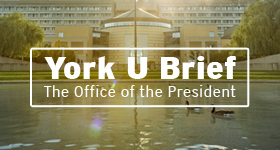 I hope your years as President go as smoothly as possible and please know everyone in the York University Libraries is wishing you well. I am so looking forward to being a part of your vision and plan for the University. It is going to be exciting! 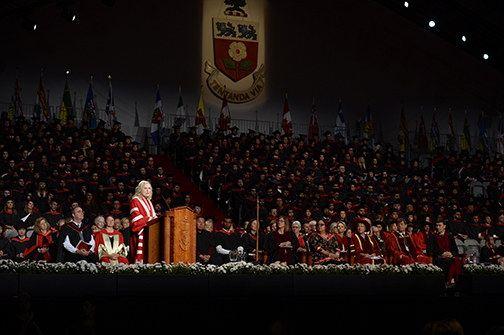 On this great day, I wish you and YorkU community, continued happiness and prosperity. Congratulations Dr. Lenton on your new role as York University's eighth President and Vice-Chancellor! I wish you the best years for your presidency and I know York University has the best. 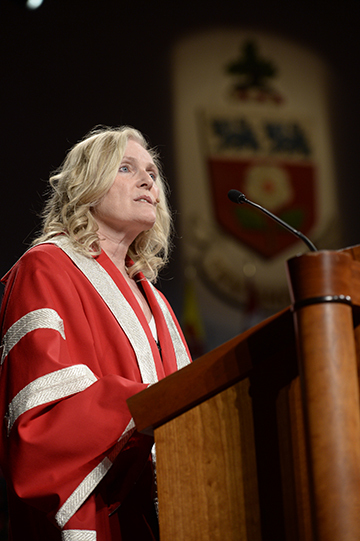 Dear Dr. Lenton, I would like to congratulate you on your installation as the President and Vice Chancellor of York. You are a distinguished academic and most importantly an outstanding leader. Having had the privilege to work for you and seeing your passion, your drive, your respect for the students, faculty members and staff, I believe you will be the best President for York. Congratulations again on this pivotal professional and personal achievement. Congratulations! Wishing you all the best in your new role. Rhonda Lenton....Wishing you success in all your endeavours. I hope to be back at York U teaching or studying for my PHD! From the old days of tenure at the Atkinson Faculty of Liberal and Professional Studies, I knew you had it in you to go all the way at York University. In Atkinson, I watched your passion, your determination, your ambition to make real change within the Faculty and the greater York community. You inspired me as a young professional just starting his career, as you do again now, knowing that you have achieved great success due to your perseverance and dedication. I congratulate you and wish you the very best as the newest visionary and leader of York University. It is well-deserved! 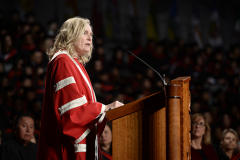 I wanted to quickly take this opportunity to offer you my sincere congratulations for your recent appointment to lead York University to greater heights -one that is more open to new ideas, more diverse and very inclusive and we look forward to working with you. I will be in the Vatican during your installation. I was one of the first new hires of the School of Public Policy and Administration in the old Faculty of Liberal & Professional Studies, when you were the Dean. 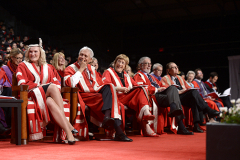 So, you are responsible for me being here at YorkU, for which I am very grateful. You did such an amazing job at the old Faculty that it was inevitable that the university would want you bring your leadership talent, energy, and vision to the university as a whole. 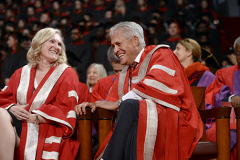 As President of York University, I know you will lead the transformation of York University and bring it to new heights in the same way that you transformed the old Faculty of Liberal & Professional Studies. Congratulations on your installation as York University's new President and all the very best throughout your term of office.